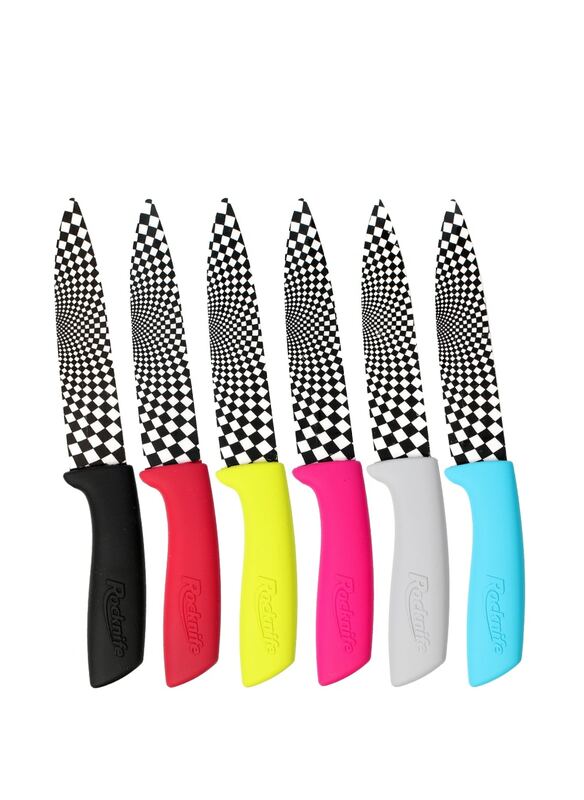 Essential for every kitchen is a high quality and very sharp paring knife and our 4 inch ceramic paring knife in black, red, lime green or pink is ultra sharp. Ideal for slicing paper thin slivers of tomato ready for beautiful presentation. 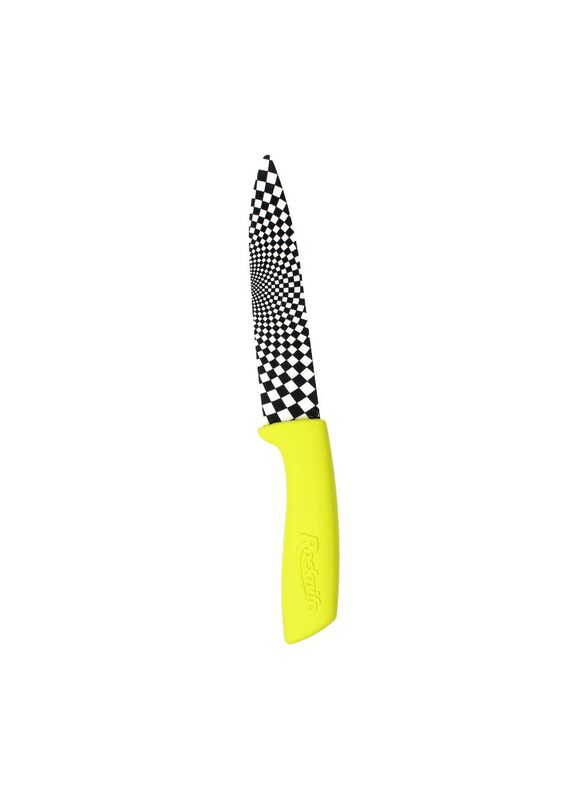 Or perhaps lemon for the topping of the meringue, it matters not as this knife will slice and dice any small vegetable or fruit, bananas, apples, pears, grapes, cherries and so on. Made from toughened zirconium oxide the design process means that paring knives are subjected to 400 tons of pressure making them one of the hardest materials known to man. 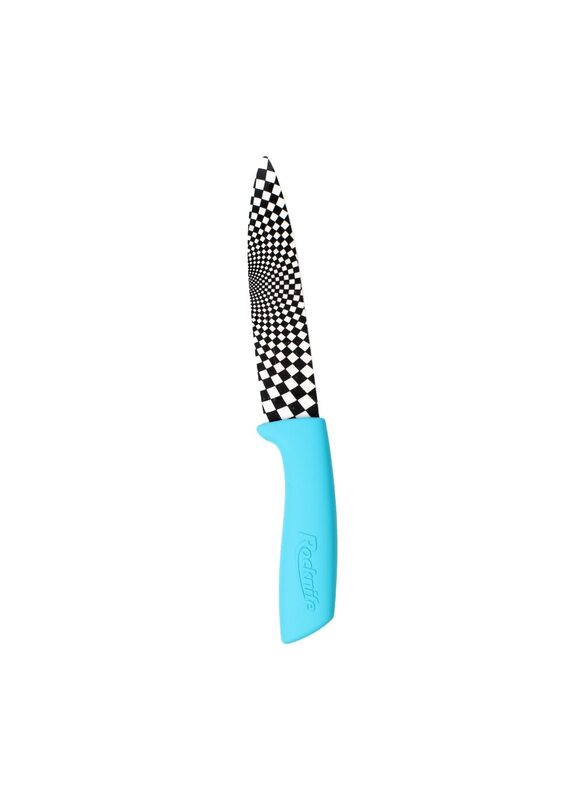 Every knife is then individually sharpened and quality checked ensuring that your will remain sharp for many many years to come. 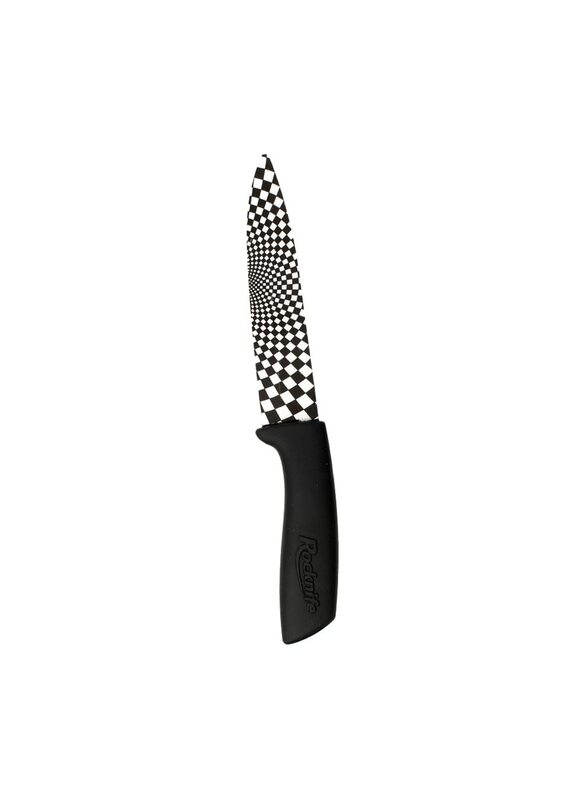 Alongside the 'designer' black and white chequered blade the handle has been designed with a soft grip coating for easy and tireless handling. If you are catering then you'll enjoy using this knife as it slices cleanly again and again. Each knife comes with a protective cover for storage and full knife sets are available as well.